Allahabad University LFAT 2019 for B.A. LLB (Hons) Admission – University of Allahabad (AU), Allahabad invites applications for admission to 5-year Integrated Bachelor of Arts Bachelor of Law (B.A + LLB) Honors Course offered at the Faculty of Law for the academic session 2019-20. 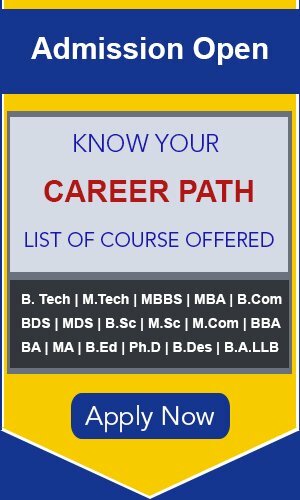 Candidates can check the complete information regarding Allahabad University LFAT 2019 application process, eligibility criteria and other information on this page below. 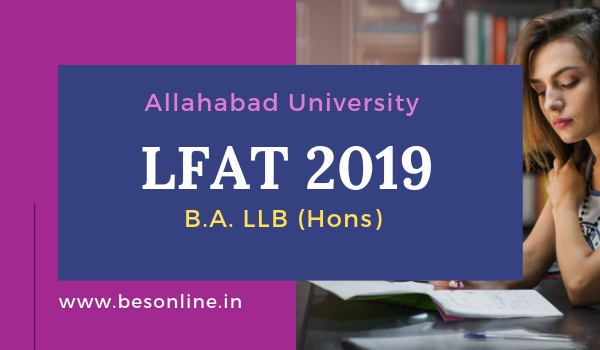 Allahabad University conducts Law Five Year Admission Test – LFAT 2019 for admission to its 5-year integrated BA LLB (Hons) Course. In view of the excellent record of the Faculty in Legal Education, the University of Allahabad decided to launch BA-LLB (Hons) Five Integrated Course to be run by the Faculty of Law in close association with other faculties of the University. The course aims at offering instructions in subjects having enormous potential of employment & which have acquired great social, economic & administrative relevance in the contemporary society. The entire annual fee amounting to Rs.50000/- shall be charged at the time of admission to the 1st Semester of B.A. LLB; thereafter, the annual fee amounting to Rs.45000/- will be submitted by the candidates each year at the time of admission in the 03rd, 05th, 07th & 09th Semesters. General Awareness and Current Affairs: The questions set shall aim at testing the general knowledge and awareness of the students about the current national and international affairs. Each will have 50 objective type questions of two marks each. For every correct answer, 2 marks shall be awarded and for every wrong answer 0.5 marks will be deducted. Prospectus for all the Admission Tests conducted by the University of Allahabad are available on the concerned link of the website www.aupravesh.org and the admission aspirants can visit the website and download it. Aspirants are advised to read the prospectus carefully before applying. Required for Online Form Submission: Admission aspirants are required to have a scanned copy of colored photograph (3.5 cm X 4.5 cm) and their signature. These scanned copies of coloured photo (3.5 X 4.5 cm) in JPEG Format (JPG) and signature (in JPEG (JPG) Format) are required to be uploaded during the online form submission. ← Why Do Indians Prefer Studying Abroad?